As a Senior Card holder, you will save 20% off our rate when you treat yourself to a holiday at Crowne Plaza Terrigal Pacific. 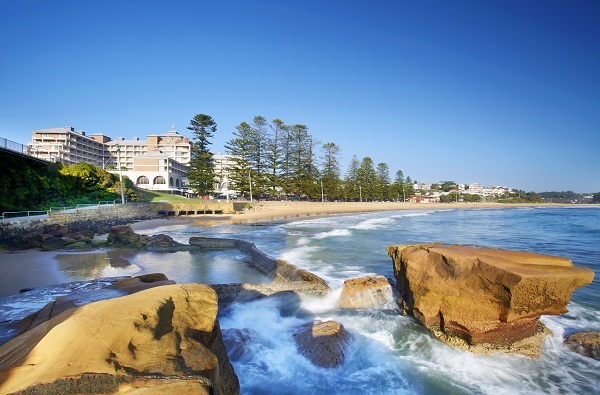 Located in the heart of picturesque Terrigal village with easy access to cafes, shops and the beach, the iconic Crowne Plaza Terrigal Pacific lets you indulge in the good things in life at a pace that suits you. We offer a range of fantastic discounts and packages for seniors, plus we’re renowned for our genuine personalised service, exceptional dining options and spectacular ocean views. Our rooms are modern, spacious and secure (some with walk-in showers) and have all the creature comforts you need. Plus, you’ll have your own private balcony where you can enjoy your morning coffee or afternoon drinks while you soak up the ocean views and sea breezes. When it comes to your tastebuds, you’re in for a treat. Savour delicious meals at our Seasalt Restaurant, enjoy lunch, high tea or evening tapas in our stunning Lord Ashley lounge, or relax with your favourite drink at our Florida Beach Bar overlooking Terrigal Beach. Offering an easy, relaxing and friendly holiday experience in a beautiful beachside setting, Crowne Plaza Terrigal Pacific will leave a lasting impression on you. Whatever your budget, we’ve got you covered. Whether you stay in a Terrigal View Room, Ocean View Room or even the Presidential Suite, you will save 20% at Crowne Plaza Terrigal Pacific. Simply call (02) 4384 9114 and quote “Seniors Discount” to book. Rates are per room per night for 2 people. Rate is subject to availability and will vary according to dates selected. Offer is only applicable for guests with a valid membership ID of a Seniors organisation. Blackout dates may apply. Discount is calculated off the Best Available rate. Quote Seniors when making your booking over the phone.